How Do I Find Out Where a Leak is Coming From? The most startling problems are the ones we can’t see. When it comes to protecting your home, quickly identifying and addressing leaks is essential. These pesky problems often hide out of sight, making them difficult to discover. Thankfully, there are proven ways to discover even the stealthiest of plumbing leaks. Today we’ll discuss how you can uncover these hidden hazards and make your home safe again! Let’s get started. Let’s think like a professional. How do plumbers check for leaks? While they could pull out a fancy leak repair device and examining every square foot until they find the damage, there’s a simpler way to get started. All it takes is a simple process of elimination. Begin your search at the water meter. If you turn off all the water appliances in your home and the meter continues to spin, you’ve confirmed the leak. What happens when you shut off the water? Does the meter stop? If so, you’ve confirmed the leak is indeed on your side of the water line. 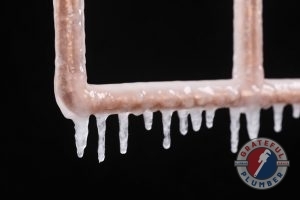 Repeat the same process with your hot water line by the water heater to isolate the problem to the hot or cold line. Unless you discover water actively spilling onto the floor or out of the walls, you’ll probably need to contact your plumbing services to pinpoint the leak. Cost boils down to a couple key factors: required repair time, and ease of access. Leaking pipes are the easiest and cheapest problem to fix, ranging from a meager $150 to $450 (according to HomeAdvisor). Depending on the location, you may have to pay hundreds more for drywall repairs. 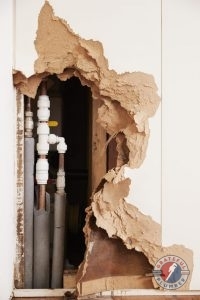 The most bothersome pipe bursts may cost thousands of dollars in water damage services. Prices rapidly climb for problems with the main line and slab pipes, coming in as high as $4000. Plumbers often require specialized equipment, such as a plumbing camera, to locate the damage. You’ll want to coordinate with your insurance to ensure maximum cost coverage. To answer this question, we must separate initial damage from resulting damage. 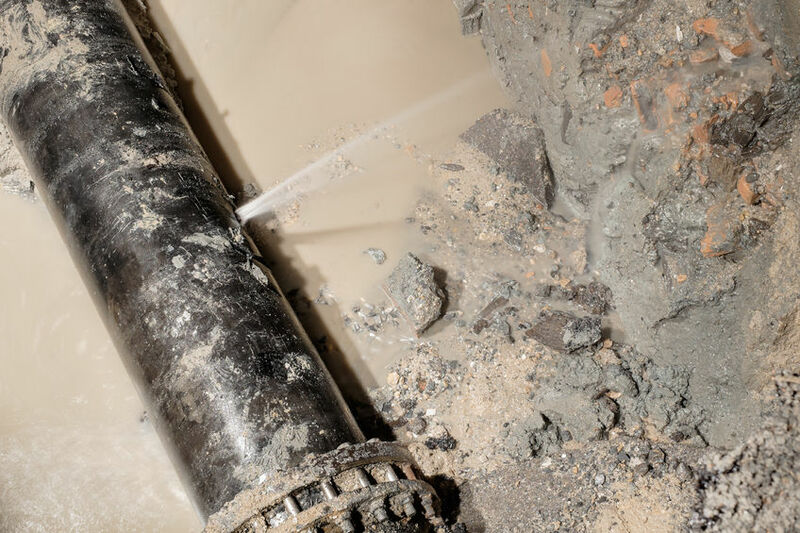 A prime example of initial damage is the gradual breakdown of a water pipe. Insurance agencies rarely cover items affected by gradual damage. However, when the pipe suddenly bursts one day and the resulting damage affects your carpet or wood flooring, there’s a good chance that the resulting damage is covered. What type of water damage is covered by insurance? Potential coverage may include sudden or accidental discharge, backups from the sewer line, and damage caused by storm. Talk with your agent to confirm which of these is officially covered in your policy. An experienced adjuster may also provide some insurance claims help. Hopefully, you will never have to make this scary call to the slab leak repair company. However, it pays to know the signs of a slab leak. 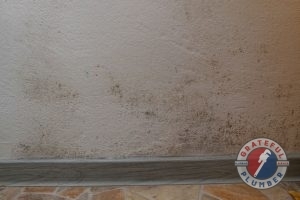 In fact, quick action could save you thousands of dollars in interior home and foundation repair costs. How can you tell if you have a slab leak? Look for these worrisome signs. 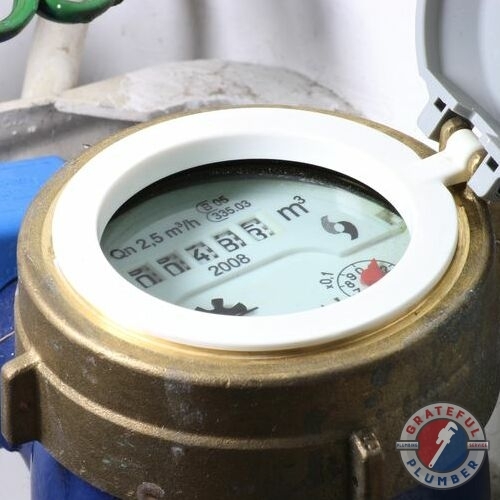 Again, the easiest way to confirm a leak is through your water meter. After you’ve turned off all appliances and outside faucets, check to see if the meter is still spinning. 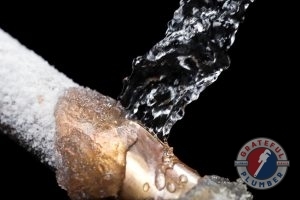 Should the water continue to flow, call your local plumber and arrange for leak repair. Schedule Your Professional Leak Repair! Even a small leak, if allowed to persist, may eventually spiral out of control. If you suspect a faulty pipe or appliance is dripping water somewhere in your home, it only takes a couple of minutes to test your system and restore your peace of mind. Prompt action can save you hundreds, even thousands of dollars in damages and repair bills, so why wait? Our team at Grateful Plumber would be more than happy to assist you with both pipe and slab leak repair in Indianapolis, IN. Contact our local office at 317-677-4918 to arrange your convenient appointment and get the care your home deserves. You’ll quickly learn why countless homeowners trust us with their plumbing needs! Posted in Uncategorized and tagged leak detection, slab leaks on March 28, 2019 at 7:23 pm by Grateful Plumber. How Can You Save Money On a Bathroom Remodel? One of the best ways to add value to our home is to improve upon areas that might be outdated. Whether you bought a home that was built in the 90s or in the 60s, you might notice that a lot of rooms are outdated, especially. After the kitchen, the bathroom is one of the rooms which gets the most use. We shower, bathe, get ready for our days, and its most likely the last room we go into besides our bedrooms. The great thing is that we can improve our bathrooms with a little remodeling. While a bathroom remodels might sound like the best option, many people ask the most important question–how much will it cost to remodel my bathroom? According to Homeadvisor, an average price for a bathroom remodel in 2019 is going to cost $10,272. 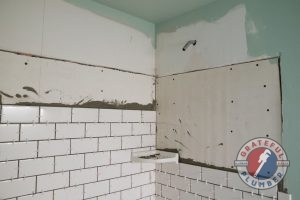 A lot of people don’t have that kind of money lying around to spend on a bathroom remodel, but they are in desperate need of remodeling their bathroom. 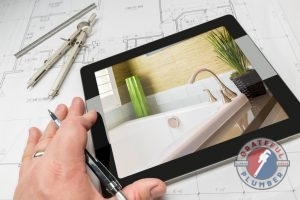 After finding out how much bathroom remodeling is going to cost, they might ask, “How can I save money on my bathroom remodel?” There are a lot of ways that you can still remodel your bathroom and not have to pay upwards of $10,000. Instead of replacing the builder made bathroom mirror, you can add a frame around it to give it a facelift. Since tile is very expensive, you can focus on tiling the floor and painting the walls or using beadboard or board and batten. A great way to update the look of the bathroom is upgrading the fixtures. Change the toilet seat and lid to make it look like a brand new toilet. Use an antique dresser to update the vanity in your bathroom. Clean the grout and fix the caulking in your bathroom for a cleaner look. If you want marble or granite countertops for the vanity, consider making little changes and making the countertop the focus of the bathroom. Is a Bathroom Remodel Worth It? When it comes to a bathroom remodel, you should never jump in head first. There are so many things to consider, like if bathroom remodeling is really worth it. While we want to add value to our homes, that doesn’t mean that how much money you put into your home is going to equal to the actual value of the home. You can remodel every area of your home but that doesn’t necessarily mean the value is going to go up. This is because when we remodel or renovate something, its usually to our specific tastes–if we end up putting our homes on the market and buyers aren’t liking what they are seeing, they might move onto another home or consider your home if you knock a few thousand dollars off the price. Find Out If a Bathroom Remodel is Worth it and If You Should Hire a Professional Contractor. This isn’t to say that a bathroom remodel isn’t worth it. Sometimes these types of things to increase the value of a home, but most of the time, bathroom remodeling is great when you are looking to stay in your home for the long run. Another thing to consider when you are thinking about remodeling is that you need to remodel based on the neighborhood you are in. If you live in an area with million dollar homes, then remodeling is going to increase the value of your home; if you live in an area where your neighbors aren’t doing much to improve their homes, then you might not want to go all out with remodeling, However, remodeling one room, like a bathroom, isn’t going to hurt you– it’s all going to depend on how much you want to spend. 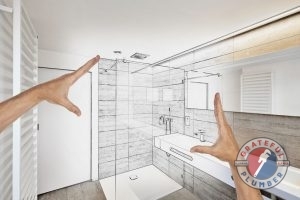 If you want to remodel your bathroom or add a completely new bathroom to your home, you need to decide whether or not you or a professional is going to take care of the bathroom remodel or addition. You need to consider that if you are changing the structure of the bathroom, which you usually do with remodeling, you are going to have to move around plumbing pipes, appliances, lighting, and more. If you are able to handle that type of work, then you are going to save a lot of money doing it on your own. But if you can’t, then you need to think about hiring a professional contractor to help you. Other things that need you should mull over is, is it going to look better if I do it or if a professional does it? Will you love it or hate it if you are the one to remodel the bathroom? When you hire a contractor, they will have the necessary experience, knowledge, and contacts to get you deals as well as ensure everything is completed correctly. Things you could do to save money do your own demolition, paint the walls, and buy your own appliances and fixtures. Instead of thinking, “What is the best color for a bathroom?” or “How much does it cost to replace a tub with a shower?” an expert will be able to answer these questions and help you. You wouldn’t handle emergency roofing in Louisville, KY, so why not leave the remodeling to a professional? Having a Bathroom Remodel Plan Will Make the Process Easier. Coming up with a plan for your bathroom remodel can be fun and exciting, but it also might be overwhelming. The reason why is because people might not know where to start in regards to planning. In order to make your bathroom remodeling planning less stressful, we have created a plan that will make things a lot less stressful and give you a clear plan on what should happen. Make a Budget: You will need to sit down with your spouse, partner, or roommate and decide how much you are willing to spend on a bathroom remodel. Come Up with Ideas: Start compiling ideas on Pinterest or in a folder on what you want your bathroom to look like. Bathroom Layout and Design: Once you know what your bathroom to look like, create a layout on how you want it to look. Hire a Contractor: To make the remodeling less overwhelming and more smooth, hire a professional contractor that you trust. Buy Your Supplies: You can buy the paint, tile, wood, appliances, and fixtures you want for your bathroom. Because bathroom remodeling can take a long time, you need to consider when the best time will be. You might not want to remodel your bathroom during major holidays like Christmas or Thanksgiving. You could potentially schedule your remodel to happen during the summer; this would be nice since the weather is great and you could go on vacation during that time. It would be a good feeling going on vacation with an old bathroom and coming back to a bathroom that is completely new. However, when you hire a contractor, they are able to tell you when they think the best time to remodel is. If you want to upgrade other things in your home like installing Tankless water heaters in Indianapolis, IN, call Grateful Plumber at 317-677-4918 for more information. Posted in Uncategorized on January 25, 2019 at 4:50 pm by Grateful Plumber. Chemical Cleaners and Plungers Can Prove Totally Ineffective for Sustainable Drain Cleaning. 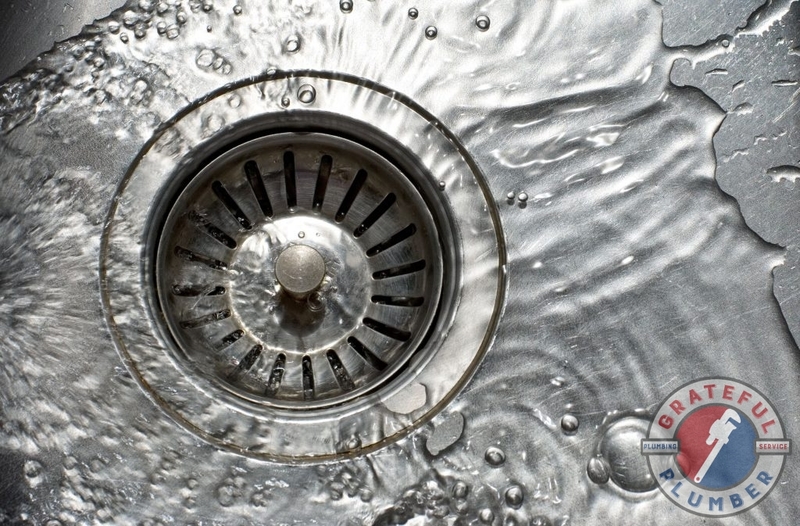 The drains in your home handle thousands of gallons of water on an annual basis. Of course, water is not the only substance that flows down our drains. Food residue, beverages, oil, hair, soap, and grease also flow down the drains, and their passage will eventually take its toll. The accumulation of these substances will eventually narrow the passageway of your drain pipes, all of which empty into your sewer line. Slow or totally clogged drains represent not only a hassle, but create the potential for harmful obstructions that force wastewater back up your pipes. People who wonder how to clean drains are best served through reaching out to a professional. 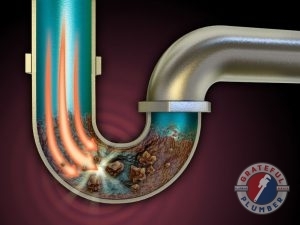 At Grateful Plumber, we offer professional drain cleaning service for the benefit of our clientele. We’re big believers in the benefits of modern equipment and technology, advantages that combine with professional skill to elevate our service high above what you’d achieve with store-bought drain cleaners. When you need drain cleaning in Indianapolis, IN, don’t hesitate to give us a call at 317-677-4918. Is Drain Cleaner Bad for Your Pipes? A Chemical Drain Cleaner Will Provide Only Temporary Solutions to a Clog. Most of the time, clients will attempt to treat a clog themselves before reaching out for professional help. A chemical drain clog remover will rely on harsh chemicals to supposedly dissolve clogs. At best, the cleaner will only punch a hole in the clog, a temporary fix that leaves most of the obstruction present. At the same time, the abrasive nature of a chemical drain clog remover will damage pipes both old and new. 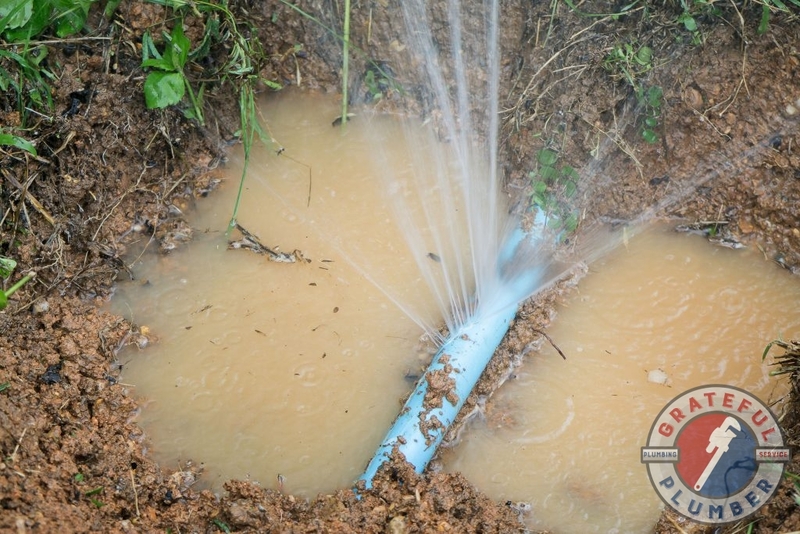 Older pipes will simply begin to deteriorate, a scenario that can lead to an abundance of leaks. 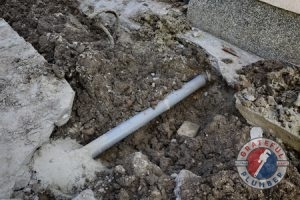 In newer, PVC pipes, the heat created through a cleaner’s chemical reactions can actually melt and deform the plastic. Drain cleaners can also harm the environment, as they introduce dangerous chemicals into the sewer system. Drain cleaners are also ineffective cost-wise. Since they represent only a temporary solution, a homeowner will need to continually apply them as the same clogs worsen over and over. 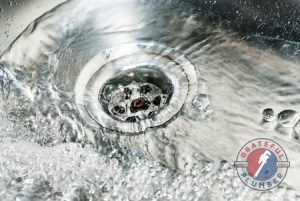 A professional drain cleaning service represents the cost-efficient and permanent solution to any clog or obstruction. As experienced plumbers, we can completely remove a clog or obstruction with jetting technology, then confirm its eradication through specialized cameras we insert in the line. You will never have to worry about how to clean drains, a clog worsening, or waste backing up to the extent that sewage bubbles in your drains. When you need drain cleaning in Indianapolis, IN, don’t settle for the over-the-counter solution. Instead call 317-677-4918 for the plumbers at Grateful Plumber. Posted in Uncategorized on July 31, 2018 at 4:58 pm by Grateful Plumber. When it’s time for a new water heater in your home, you may be considering a tankless water heater. While these systems offer great advantages like instant hot water and flood risk elimination, they are not right for every home. These considerations can help you decide whether a tankless water heater is right for your home. A Tankless Water Heater Can Provide Immediate, Efficient Hot Water to Your Home. Water heaters are built to certain specifications that help to decipher its power against the size of the space it’s serving. While this is a substantial factor, tankless water heaters require more information such as household size and frequency of use, which will play a huge role in its efficiency. Your home size may be acceptable, but three showers running at the same time off of one heater may mean cold water when you least expect it. 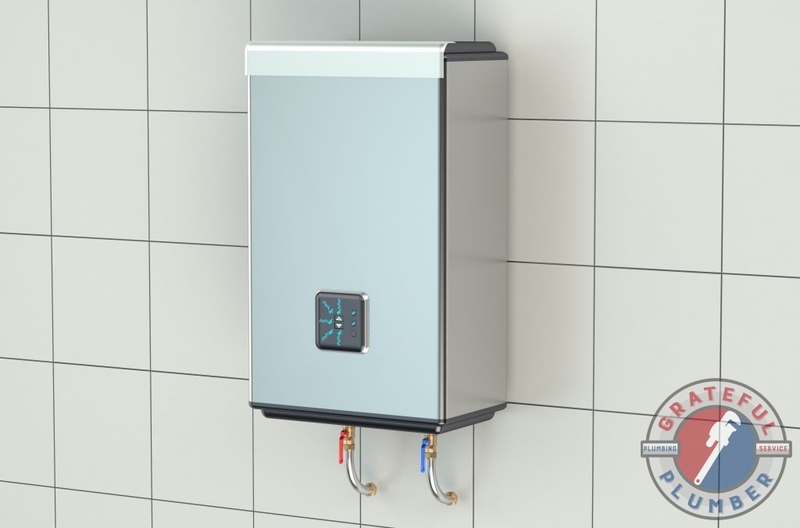 While the systems are known for being energy and cost-efficient in the long run, tankless water heaters have a much larger upfront cost than traditional styles. The system itself is more expensive than the average tank heater, and special installation requirements such as spatial needs and retrofitted lines in some cases. This will lead to higher installation cost, as well. The efficiency and convenience of a tankless heater are unbeatable. These systems use less energy because there’s no need to reheat water, and they are small and easy to use. They are able to heat water instantly by using a heating coil in water passes through so there is no need for stored water that could cause flooding in your home. For many, tankless water heaters provide an ideal system to heat their home’s water. However, it’s a good idea to consult a professional if you’re thinking of installing a new water heater system to ensure that you receive the product you’re looking for. The experts at Grateful Plumber can help you find the perfect water heater for your Indianapolis, IN home when you call 317-677-4918 to schedule a consultation. Posted in Uncategorized on April 20, 2018 at 4:20 pm by Grateful Plumber.